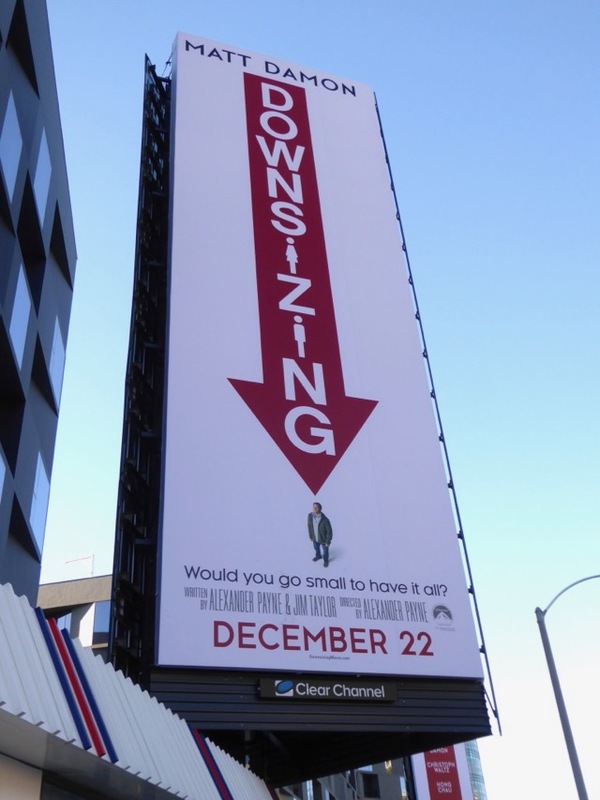 What would you be willing to give up to have a bigger house, a better car and see your money go further? 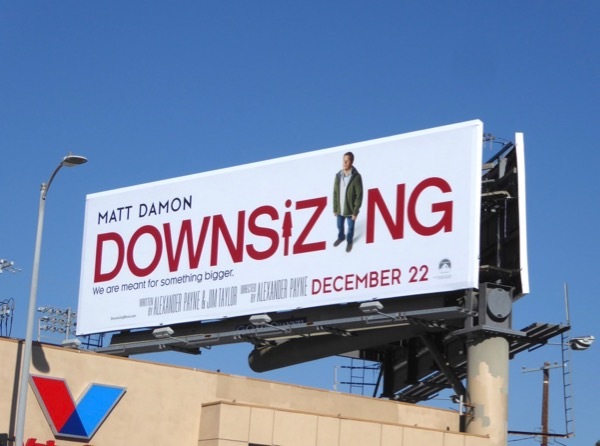 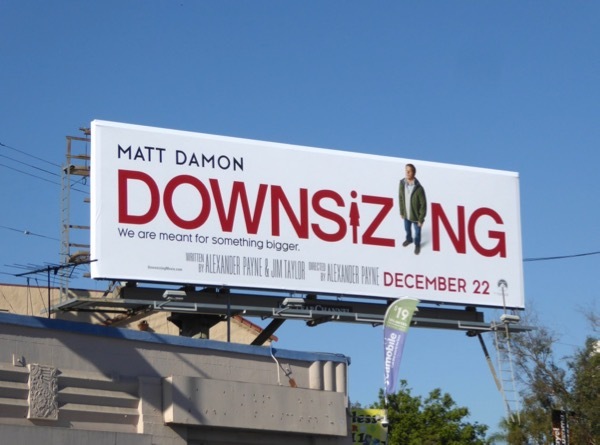 In Alexander Payne's new social satire Downsizing, Matt Damon decides to shrink himself in size in order to enjoy a better way of life. 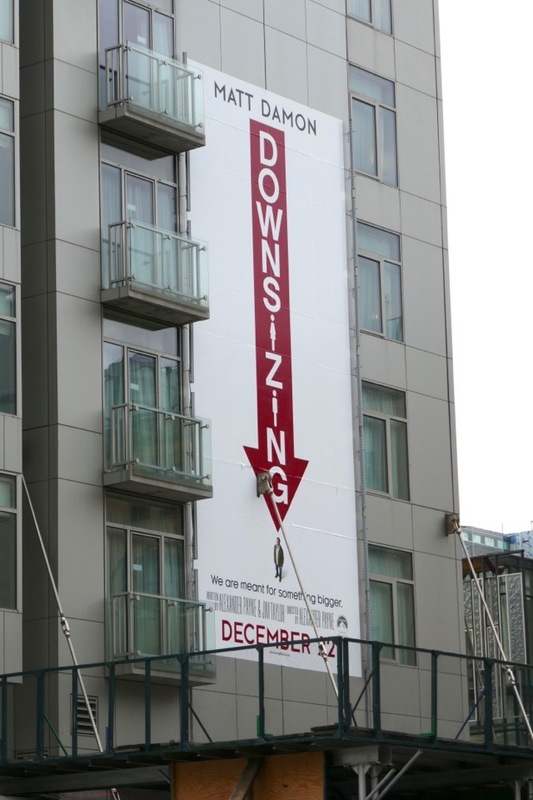 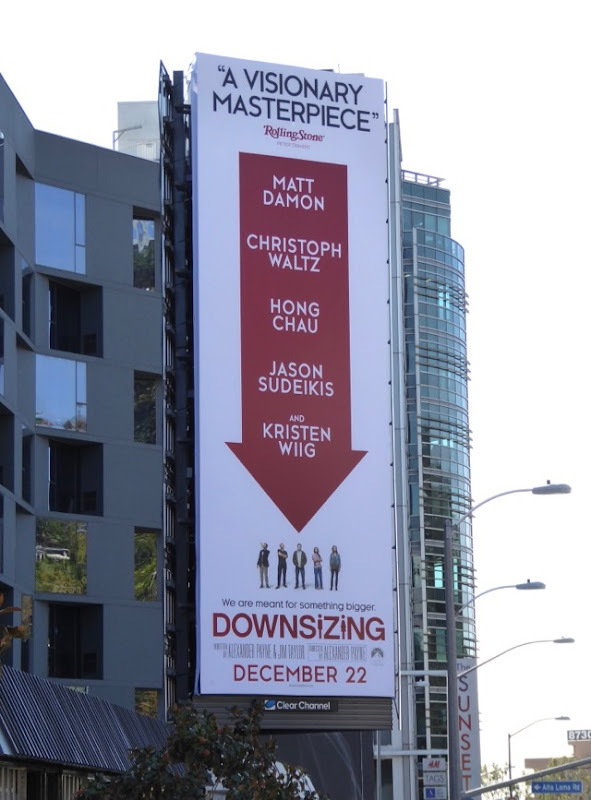 In the film, to cope with overpopulation scientists have discovered a way to shrink people down to around five inches tall where they can live in a brand new miniaturised world, but when Damon's 'Paul Safranek' decides to undergo 'downsizing' his wife played by Kristen Wiig realises she can't go through with it at the last minute and he's left to start a new life in this completely different world alone. 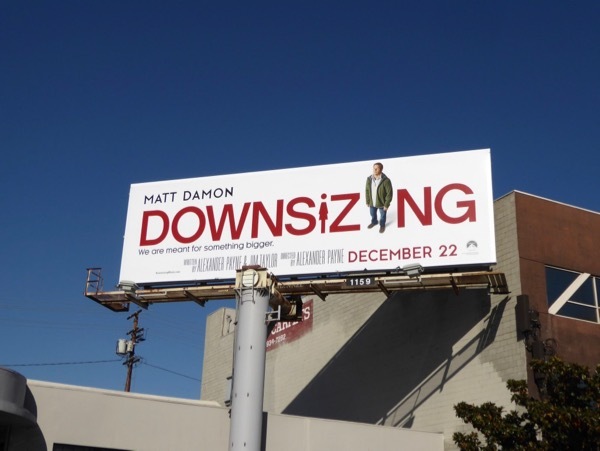 These movie billboards were spotted along the Sunset Strip, Beverly Boulevard, Melrose Avenue, Santa Monica Boulevard and La Brea Avenue from November 28 to December 1, 2017. 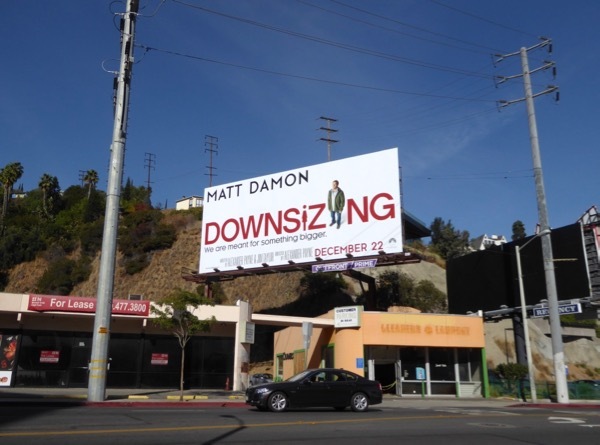 Matt Damon fans can also enjoy these billboards for The Martian, these Suburbicon movie billboards, these Jason Bourne movie billboards and these billboards for The Adjustment Bureau, to name but a few. 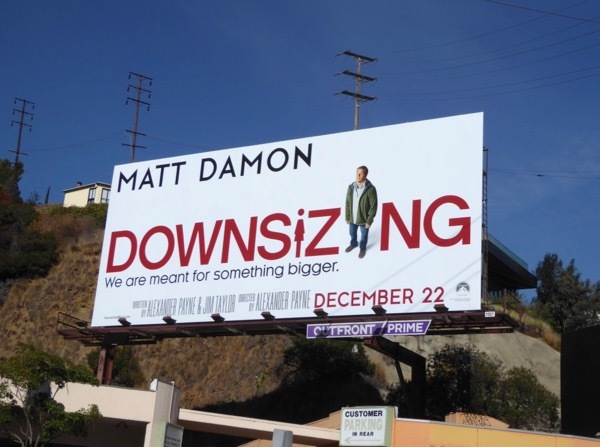 Only time will tell whether Downsizing will enjoy a super-sized result at the box office this competitive festive season, or whether Matt Damon's star power is starting to shrink. 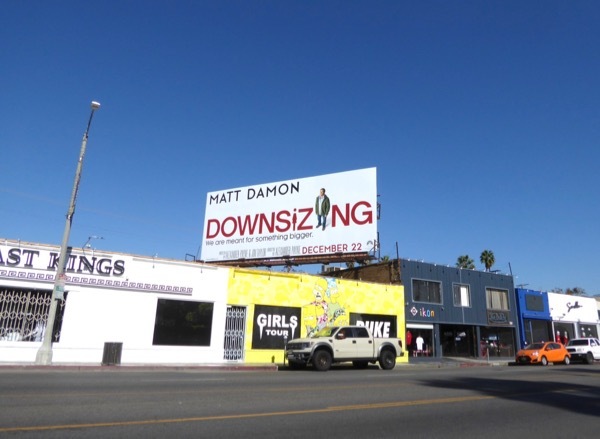 UPDATED: Here's also a portrait billboard for the film spied at Hudson Street and 13th Street in New York's Meatpacking District on February 15, 2018.